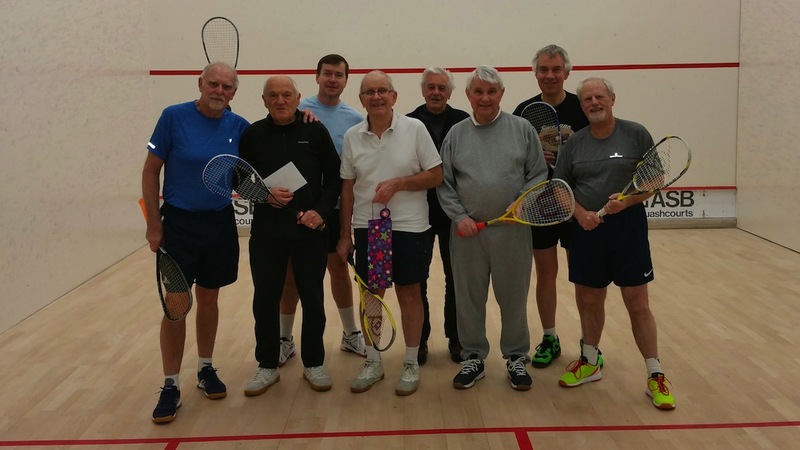 David Smith, who regularly plays squash doubles with the Southwell Squash doubles veterans group, recently celebrated his 80th birthday. David is one of the most senior members of the group which is made up of 15 players. To mark his birthday he was presented with a bottle of his favourite tipple by David Daniels and the other squash players. The group play squash doubles every Wednesday evening at Southwell Leisure Centre. Most of the group are in their 60s and 70s with a few younger ones in their 50s. If anyone is interested in playing senior squash doubles at Southwell then Mick Jones the clubs coordinator can be contacted on 01636 812940. There is also a social element to the group as after squash they retire to the Admiral Rodney pub in Southwell for a well earned drink and chip cob, on special occasions such as David's birthday sausages are also on the menu!